Dense smoke from Asian fires has again spread over our region, profoundly degrading visibility. There should be some amazing sunsets in the Northwest tonight from the smoke. Some of the smoke is mixing down, reducing visibility and air quality near the surface. Look at the amount of small particles (PM2.5) at the Cheeka Peak observatory on the northwest corner of the Olympics (see graphic below). You can see the big rise in the number of particles today. Here is the forecast for Saturday at 5 PM. Perhaps a slight break, with more on the way. This summer is clearly the most polluted from Asian smoke since 2003. 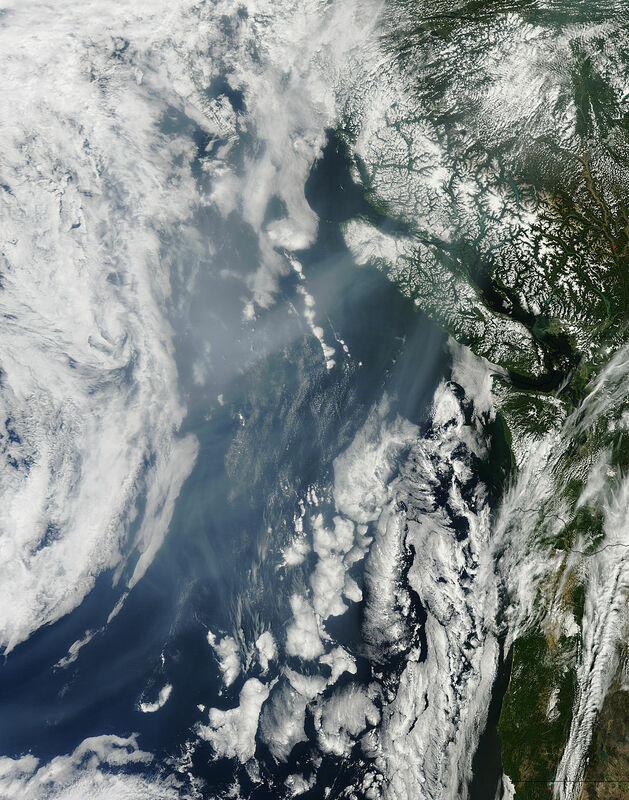 It is extraordinary that fires over Asia can have such a profound influence on air quality over the Northwest U.S., many thousands of miles away. 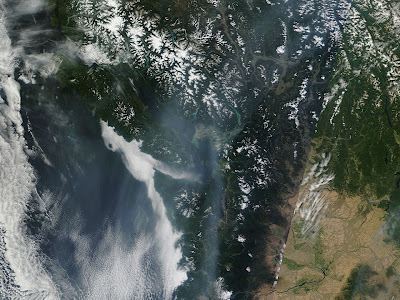 Now the big question is whether this smoke will significantly impact the viewing of the Perseid meteor shower, which hits its peak this weekend. The sky will be relatively clear of clouds. The moon rises about 12:30 AM tonight and an hour later the next day. So take a look outside just after midnight if you feel lucky. Sound like something Clint Eastwood would say.